Samsung's ATIV Camera app is for its Windows Phone 8.1 handsets, and is listed on the Windows Phone Store as a test submission. Some of the features for the rear snapper coming from the Samsung app include Auto, Beauty Face, Best Photo, Best Face, Rich Tone (HDR), Eraser, and Night Shot. The video features include the ability to grab a still shot from video, Smooth motion and Slow motion. Since the app is for Windows Phone 8.1 flavored models only, you will have to wait for Sammy to roll out a firmware update first, followed by the actual Windows Phone 8.1 update. We expect the Samsung ATIV S, Samsung ATIV SE, and the Samsung ATIV S Neo to be recipients of the new Windows Phone build. If you own one of Samsung's Windows Phone flavored handsets, you should be looking forward to all of the new features that your phone will receive. When is the 8.1 update rolling out? Anyone know? Should role out by end of this month or early next month. Didn't you get the developer preview? It's all carrier-dependent as always. Microsoft's own life cycle has 6/24 as the start date but it's meaningless unless you have a factory unlocked device. My Neo has received every single update. Just because you probably don't own one doesn't mean it's treated like a red-headed stepchild. Does any know how to keep my camera from freezing and resetting the phone after just touching the app. Ye, Lumia offers the best WP experience, though I miss my Dell Venue pro from time to time. I'm patiently waiting for HTC to release a WP version of their One M8. How do you know it's not a Lumia? If I want WP phone I will buy Lumia too! Samsung support wouldn't be able to match Nokia as Nokia is 100% committed to WP. 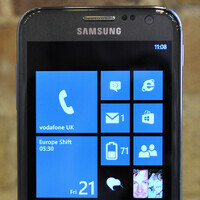 Samsung just to get by from MS pressure on Windows licensing. You obviously have no idea what you're talking about. Talk to owners of Lumia 810 or 620 and see how their support is doing. BTW, Nokia is not 100% committed to WP as evidenced by the Nokia X. Bringing this back from the dead... anyone know if WP 8.1 was ever rolled out to the device? Curious about 8.1 update too since this phone is quite an offer with the prices now. Just recently, Samsung also updated their clock live tile for compatibility with 8.1 so there's hope!